THE financial performance of the Bank of Namibia (BoN) in the financial year (FY) 2018 improved significantly when compared to the FY2017, with the central bank’s net interest income increasing to N$545 million, from N$476.9 million. 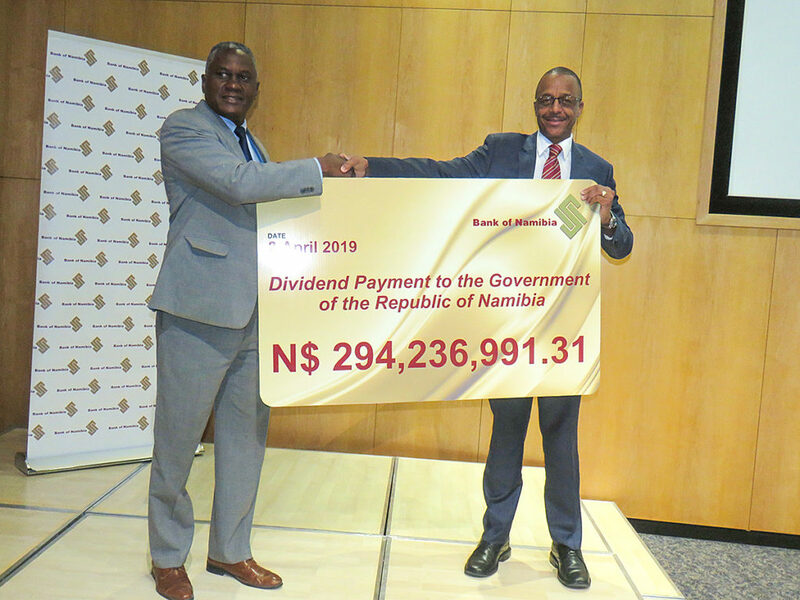 At the launch of the central bank’s Annual Report today, BoN’s deputy governor, Ebson Uanguta, declared dividends of N$294 million to the State Revenue Fund for the 2018 financial year. 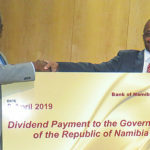 Uanguta stated that the overall improvement in the bank’s performance is attributed to the increase in the stock of international reserves, which rose by 2.8% to N$31 billion at the end of 2018. Despite the weak growth of the economy, the banking sector ‘s performance remained sound during 2018. He also highlighted that Namibia’s current account deficit narrowed further to 2.1% of GDP during 2018, from 5.1% of GDP in 2017. The improvement was mainly attributed to narrowing in the merchandise trade deficit as a result of an improvement in export earnings, coupled with increased receipts on the services account and a slowdown in imports. Furthermore, the real effective exchange rate on average appreciated during 2018. This implies that Namibia’s external competitiveness weakened somewhat during 2018 compared to the previous year. Namibia’s real GDP is estimated to have contracted by 0.1% in 2018, mainly due to slower activity in the tertiary and secondary industries, although the contraction was not as steep as in 2017. The level of international reserves held by the Bank of Namibia rose by 2.8% over the year to N$31 billion at the end of December 2018. The rise in reserves was partly due to inflows of SACU receipts and the second tranche of the Africa Development Bank (AfDB) loan to the Government. The reserves were estimated to cover 4.5 months of the country’s imports of goods and services, which were slightly higher than the 4.4 months recorded at the end of 2017.